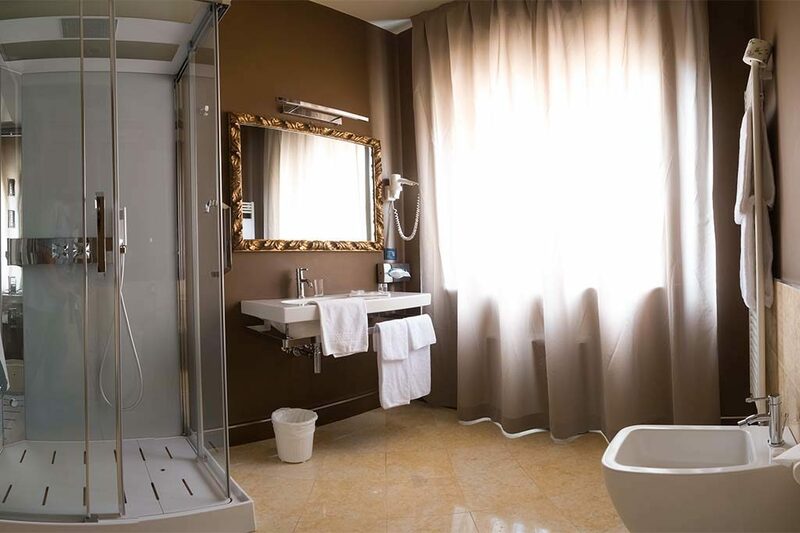 Refined and modern, our Junior Suites have a double bed, sofa and large bathroom with asymmetric sinks and whirlpool bath for a stay in Mantua marked by comfort. 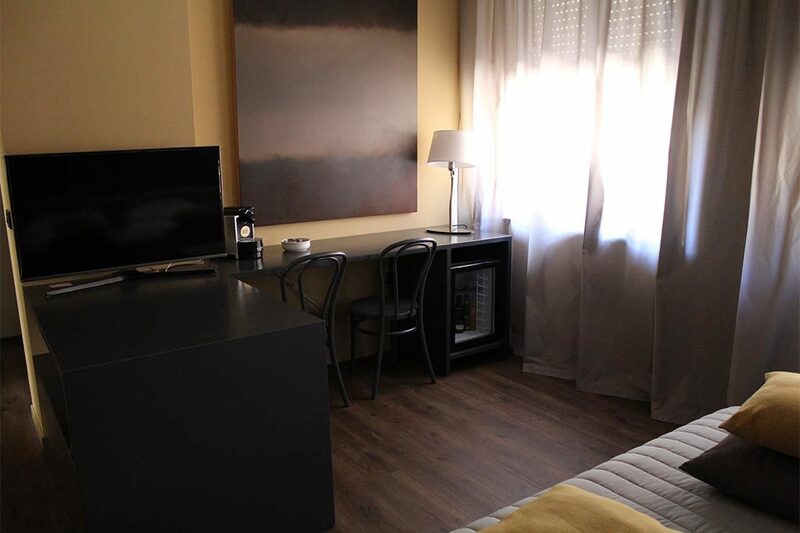 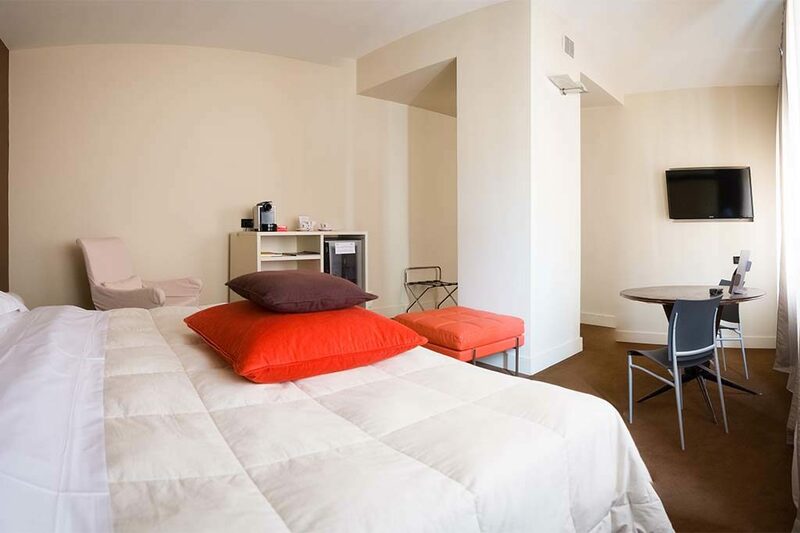 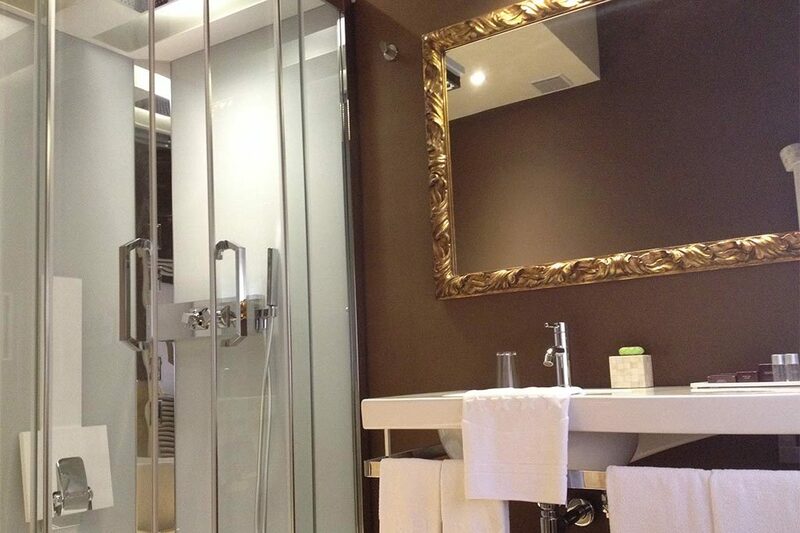 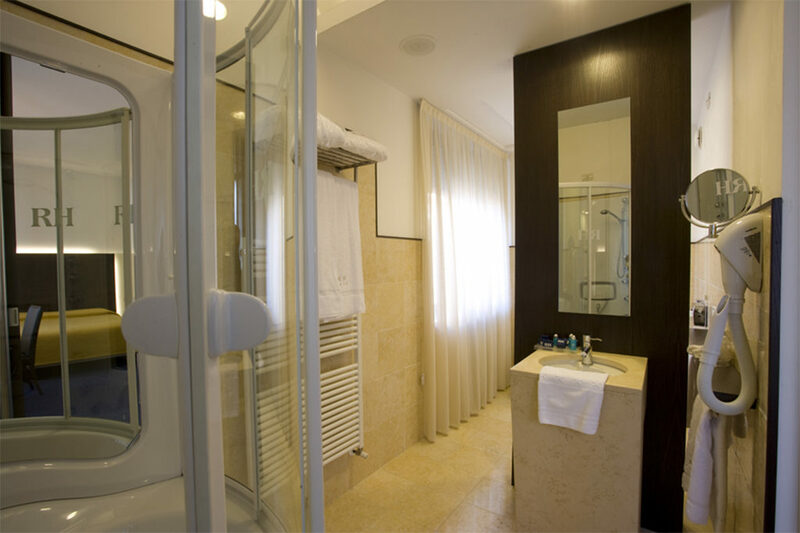 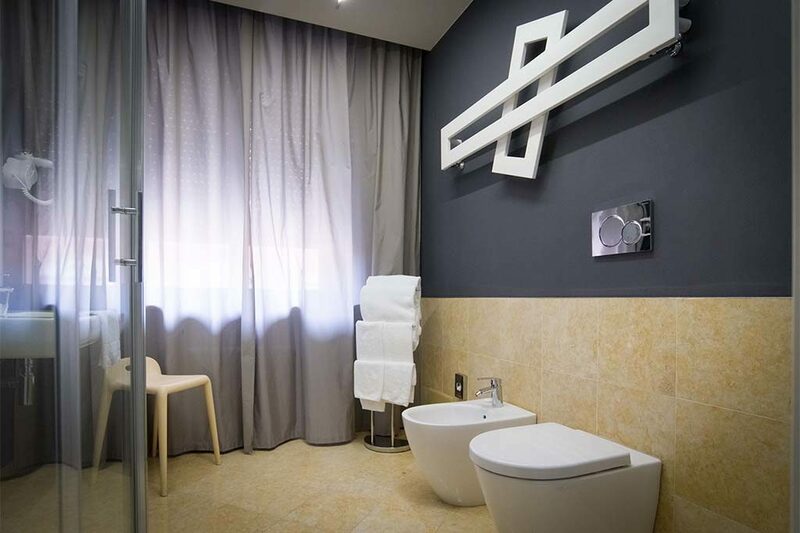 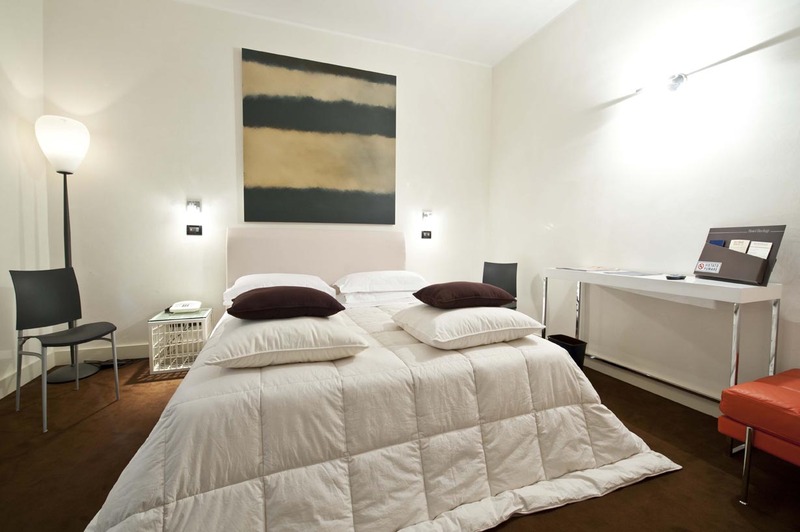 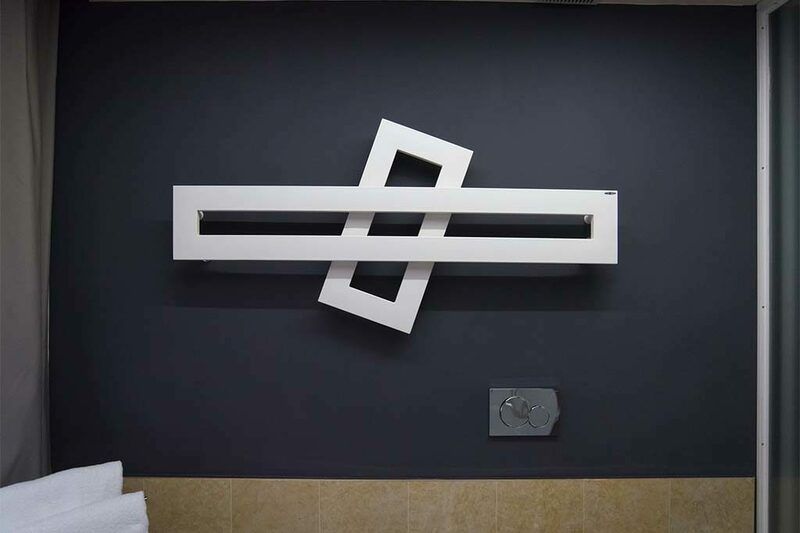 Choose the maximum comfort for your stay in Mantua. 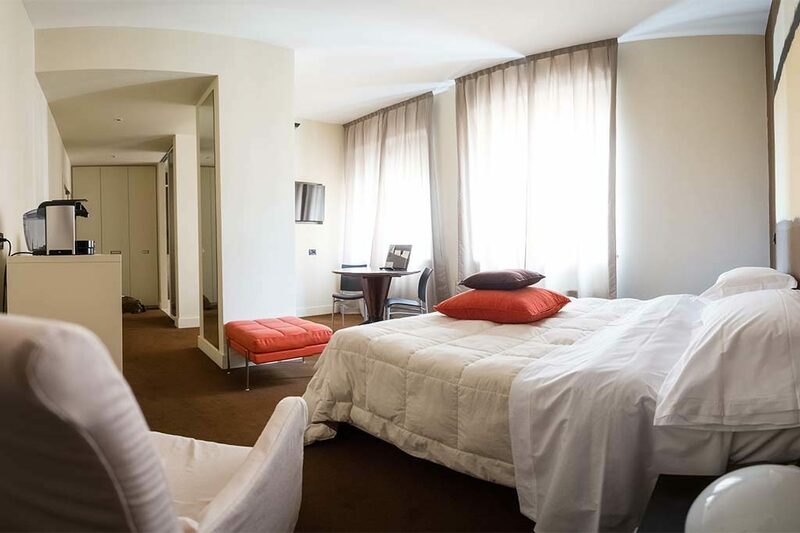 In Hotel Rechigi’s Junior Suites, guests are welcomed by large bright spaces ideal for moments of total relaxation, immersed in a welcoming and refined atmosphere. 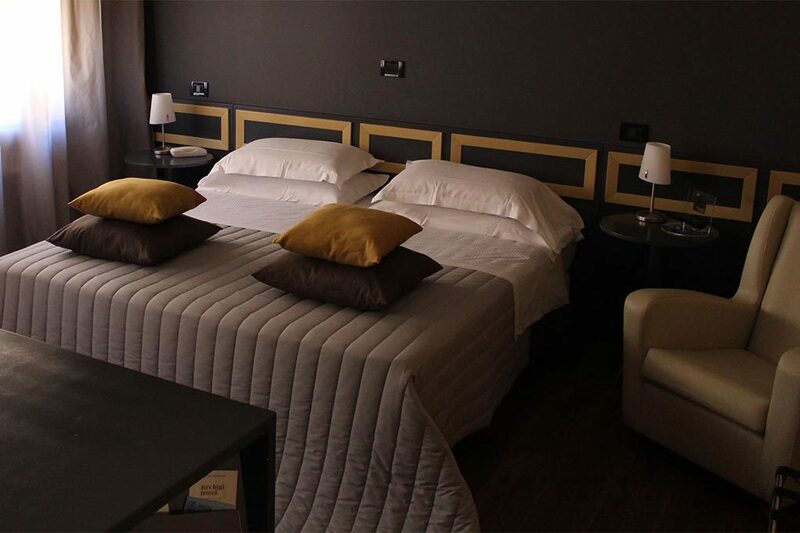 After a long day of shopping in the city centre or visits to the monuments of Mantua, take a break in a Junior Suite to recoup the energy of mind and the well-being of body. 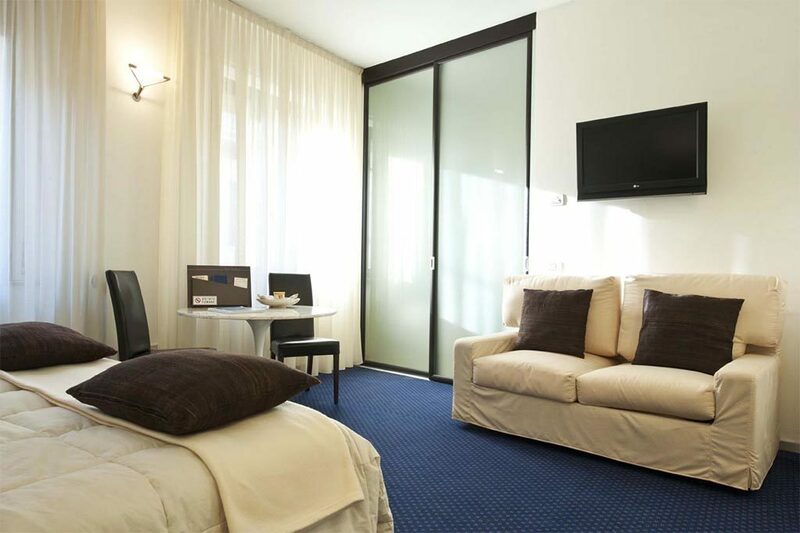 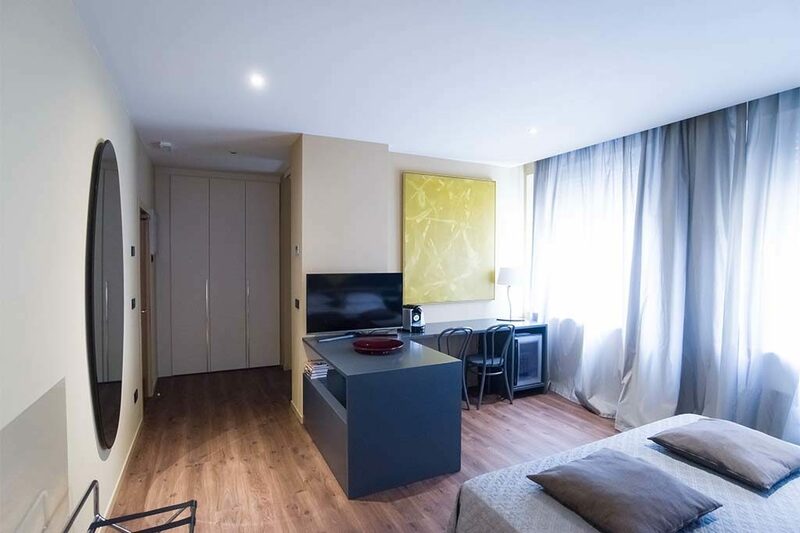 All Junior Suites are equipped with independently controlled air-conditioning, direct-dial telephone, radio, TV internet connection, satellite TV, free Wi-Fi, mini-bar and large safe deposit box. 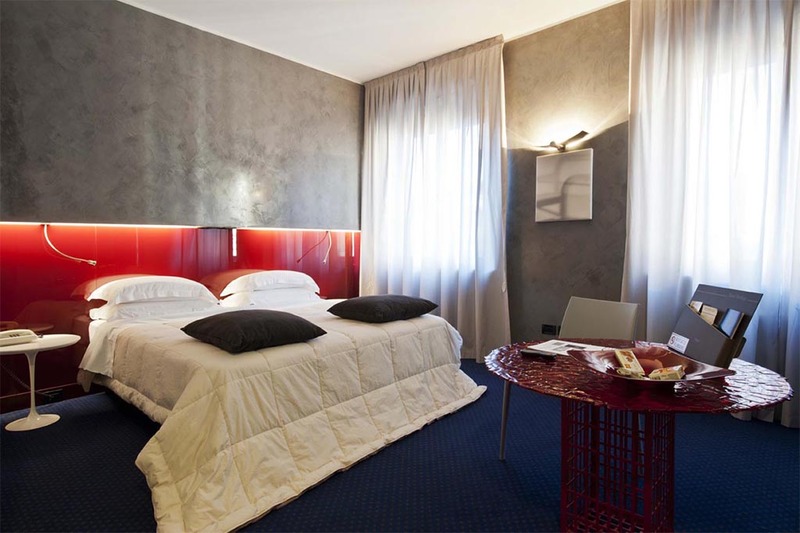 On request, the hotel can provide guests with affiliate promotions at local wellness and beauty centres and other tailor-made services for an unforgettable stay in Mantua. 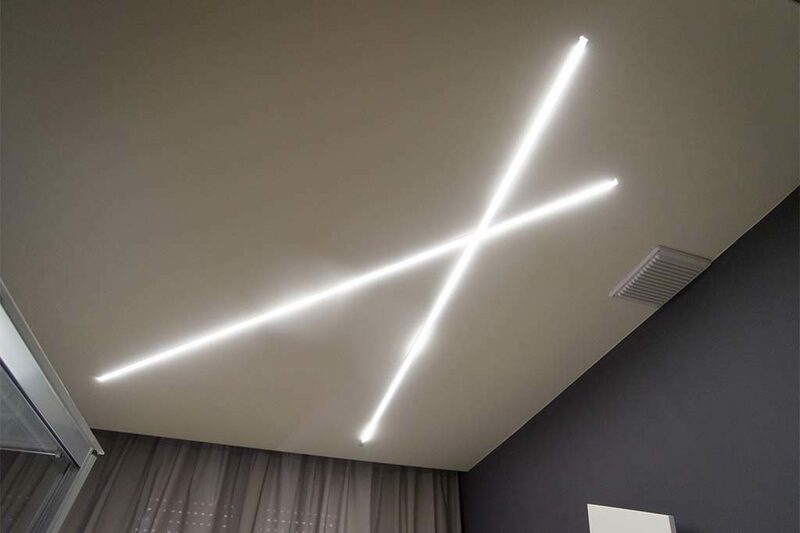 No children under the age of 8. 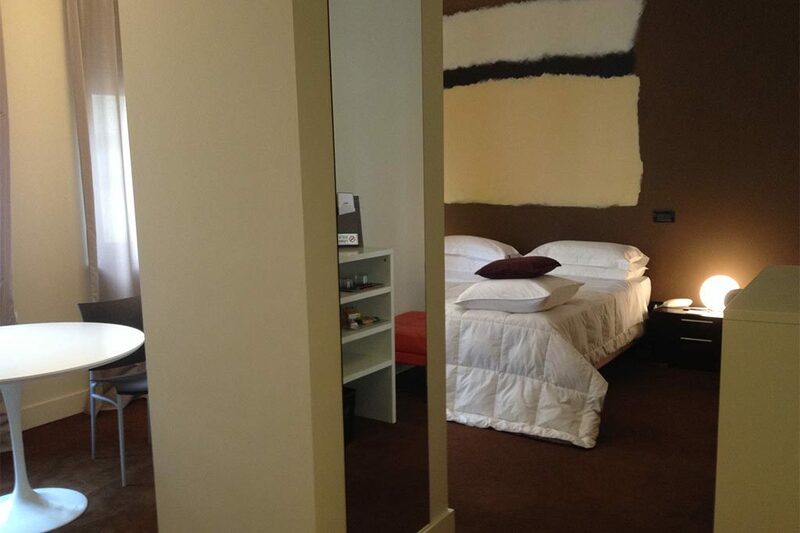 Elegant and spacious, our Deluxe Rooms are perfect for those looking for a stay in Mantua marked by sophistication and comfort. 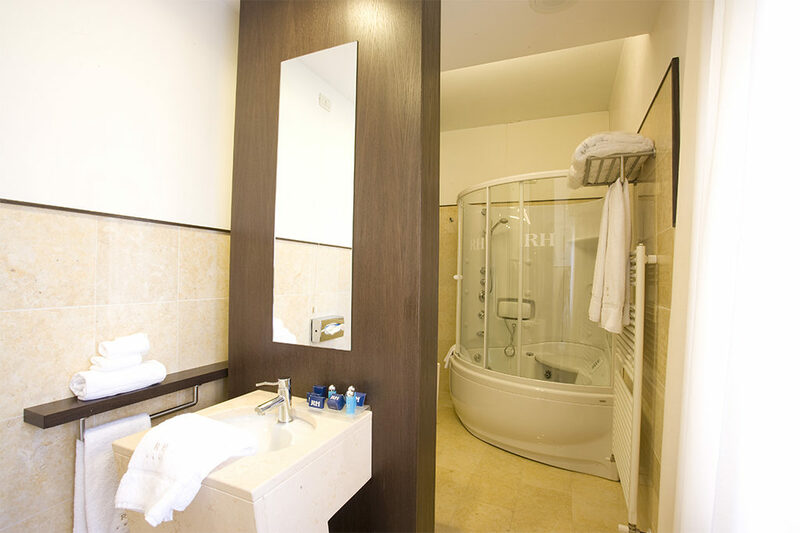 Modern and sophisticated design, elegance and finesse distinguish our Spa Suites, comprising a large room with king-size bed and spacious bathroom with two hydro-massage showers or whirlpool hot-tub.